实在是一张非常出色的钢琴大碟.来自意大利的世界著名的交响乐作曲和配乐大师Ludovico Einaudi,我本人对其不是十分熟悉,况且在市面上他的片子也不多见,以至于在淘片时几次都没有在意.这次正好,由于遇到了疯狂的促销,为了凑满那么多数额而突破原先1元1张的底线,我心中惴惴地拿了这张凑了个数.不料一听之下甚是惊讶,柔美而流畅的音符每每打击在我的灵魂深处,连贯起来听下来,有种异样的减压和舒坦.比起其他的新世纪钢琴家,Ludovico Einaudi无疑有着更为扎实和浑厚的古典钢琴和交响乐作曲功底和才华,使得他的音乐浑然天成,尽管只是独奏,气势依然独到.几次都分享,这次连花露等表现出极大的兴趣,因此狠狠心压出来分享一下.另外值得一提的是作者所用的钢琴乃是来自Fabbrini Collection中Registration 542.741的Steinway & Sons的piano. One Evening some time ago, at Bamako in Mali, I was driving through the twon with the musician Toumani Diabate. It was hot. We had the radio on and at one point they broadcast a song. A gentle song which was slightly melancholy. Whilst Toumani was driving he told me that this was one of the oldest and best loved songs of the Mande repertoire, which dates back to the twelfth century, called Mali Sajio. The song tells the story of a hippopotamus, who lived at the crossing of two rivers and was much loved bt the inhabitants of a nearby village, who looked after him. But one day hippopotamus was killed by a hunter. The song is sung as a lament for the death of a king or a great person or for the loss of a loved one. 2001 release from the world renowned symphonic composer. 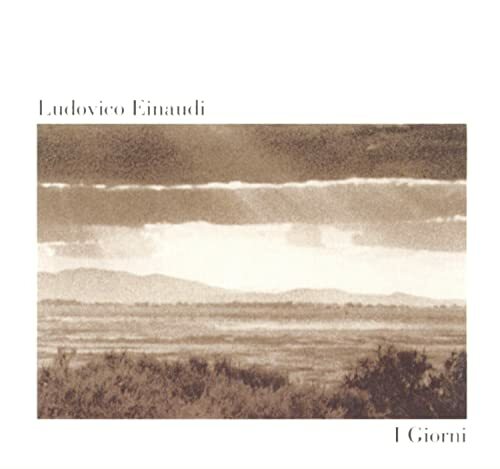 The inspiration for Ludovico Einaudi's 'I Giorni' was a 12th-century folk song from Mali about a hippopotamus who was cherished by the residents of a nearby village but killed by a hunter. 'The song,' writes Einaudi in his succinct liner note, 'is sung as a lament for the death of a king or a great person or for the loss of a loved one.' The result is a tender & introspective set of 14 piano pieces. This work was written after hearing the kora playing of Toumani Diabate whilst traveling in Mali. Recorded in 24-bit/96 kHz. Ricordi. GMT+8, 2019-4-21 16:31 , Processed in 0.272196 second(s), 21 queries , Gzip On, Redis On.